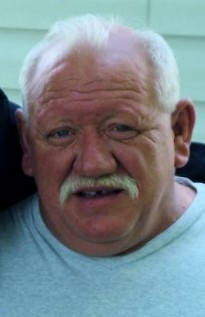 Andy W. Aders, 61 of Ferdinand passed away Saturday March 30th at Scenic Hills Care Center, Ferdinand. Andy was born August 30, 1957 to Raymond and Flora Mae (Van Hoosier) Aders. Andy enjoyed riding his scooter, fishing, spending time with his family and cookouts. Surviving are his helpmate, friend and mother of his sons, Nancy Powell of Ferdinand. Son Austin L. (Austin E.) Aders of Jasper. Grandchildren, Rowan & Kendalyn. His mother, Flora Mae Aders of Tell City, Brothers, Tony (Debbie) Aders of Ferdinand and Tracy (Amy) Aders of Bristow. Sister-in-law, Darlene Van Hoosier. Several nieces & nephews and great nieces & nephews. He was preceded in death by one son, Nicholas S. Aders, his father, Raymond Aders, brothers, Randy Aders and David Lee Van Hoosier. There will be no service or visitation, burial of cremains will be at a later date.